One of the most important concerns for individuals considering filing a Chapter 7 “straight” bankruptcy is whether they will lose any of the valuable assets they have accumulated, such as homes, vehicles, savings, investments, and retirement accounts. Bankruptcy can put certain assets at risk, but through expert advice and careful planning, individuals can pass through bankruptcy without losing their assets. The value of property that an individual filing Chapter 7 is allowed to keep is determined by exemption laws. Exemption laws vary from state-to-state. In determining whether a debtor has assets that exceed their exemptions, one must first consider the “liquidation value” of the debtor’s property. For real estate, this is the amount that a potential buyer would pay in the current market for the property in its present condition (without repairs), less the costs associated with selling the property. For vehicles, this is “as-is” auction value. For furniture, clothing, and other household items, this value is the amount the items in “as-is” condition would be worth at a yard sale. If any property is collateral for a loan, the balance owing on the loan or loans is subtracted. Liquidation value is the value that remains. If an asset has any positive liquidation value, that dollar amount must be exempted under the applicable state exemption law. 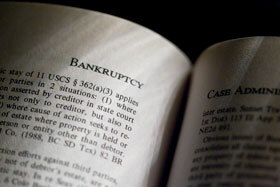 The Rothbloom Law Firm represents Atlanta individuals filing for Chapter 7 bankruptcy. Our attorneys are experienced in determining whether any of an individual’s assets would be at risk in a bankruptcy and advising our clients in protecting those assets. Contact us today to discuss how you can plan to preserve your assets in a Chapter 7 bankruptcy.